The Labradoodle is a crossbreed or hybrid breed dog; a cross between the Labrador and the standard Poodle. 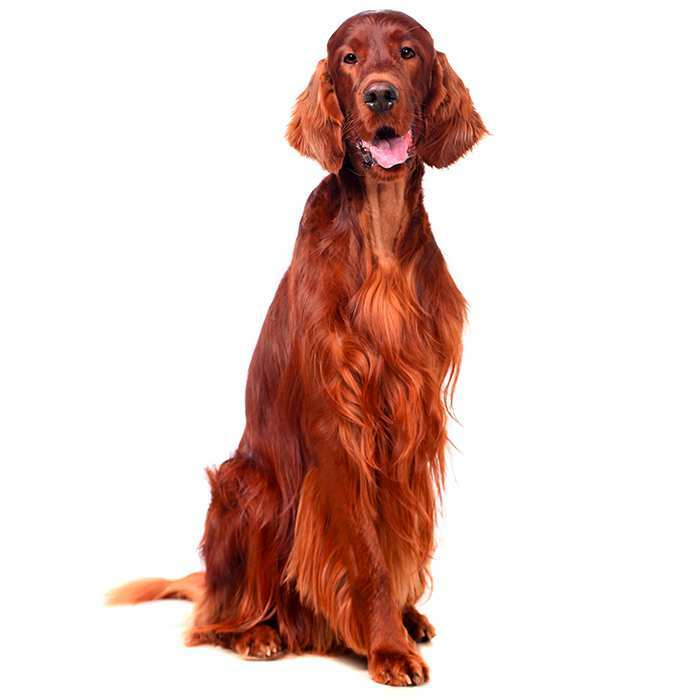 Size and appearance can vary, but generally the breed is a medium-sized dog with a cheerful, good-natured temperament and equipped with a thick, wavy or tightly curled coat of hair. 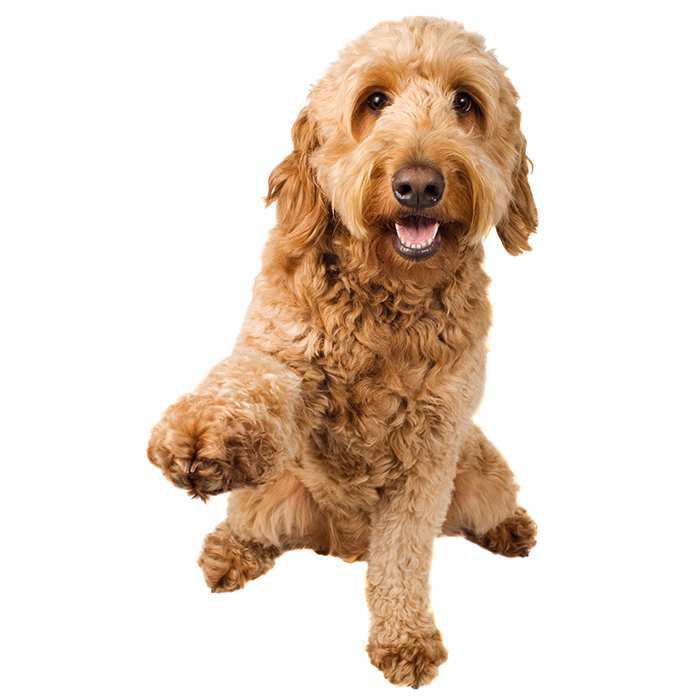 Labradoodles were first developed in Australia and are a real Australian success story, having been adopted with enthusiasm by the United States and many other countries around the world. The cross breed was developed solely for the purposes of producing a companion animal; a hypoallergenic breed that would shed less hair. It was in 1989 that the first attempts to formally breed a Labrador Poodle mix took place. The breeder was Wally Conron, the man in charge of breeding dogs for the Royal Guide Dogs Association of Australia. 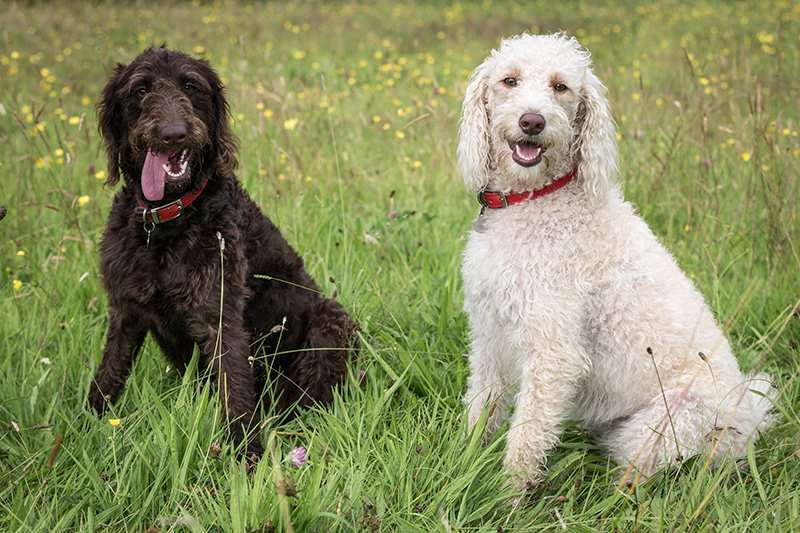 While the Labradoodle is a crossbreed and is not recognised by any of the major kennel clubs, the breed has been described as one of the best companion types available. Highly affectionate and loyal to their owners, Labradoodles are extensively used as therapy work.  Although the Labradoodle is a fantastic breed and highly popular, many existing examples are not up to the standard the Royal Guide Dogs Association of Australia intended. High demand throughout the 1990s saw many poorer bred dogs entering the market. Labradoodles are known for their easy going and gentle nature, paired with a high level of intelligence and awareness. They are energetic animals and are exceedingly patient with children, making them ideal companion animals for either the elderly, the handicapped or young families. The breed is very responsive to good, clear and constant training and will require a great deal of exercise to remain mentally and physically stimulated. Because the Labradoodle is still a young cross breed, size and weight vary, sometimes wildly. Standard Labradoodles tend to grow to about 50cm or more. The average standard Labradoodle should weigh in the vicinity of 23 to 45kgs. Labradoodles will generally live to the age of 12 to 14 years. 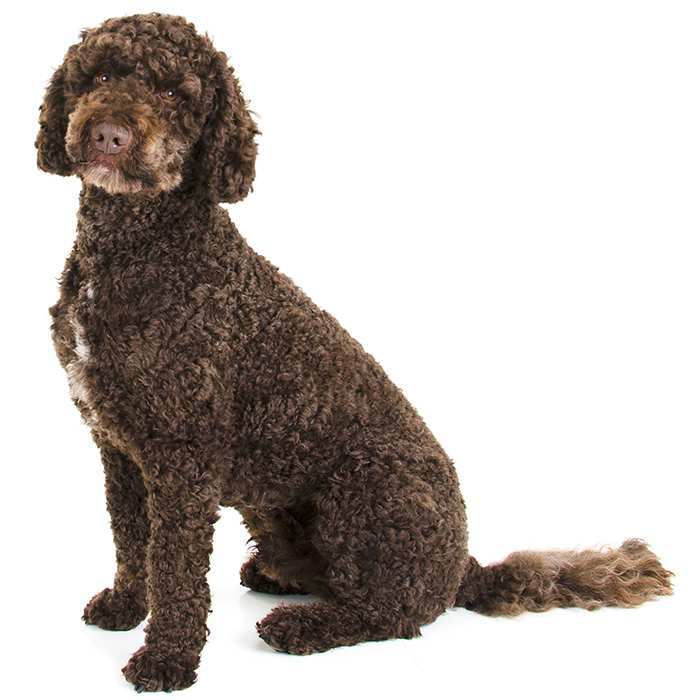 The Labradoodle has been developed to reflect the very best characteristics associated with both the Labrador and Poodle breeds. The Labradoodle is a very intelligent dog and requires the attention and care of a devoted family to remain happy and healthy. 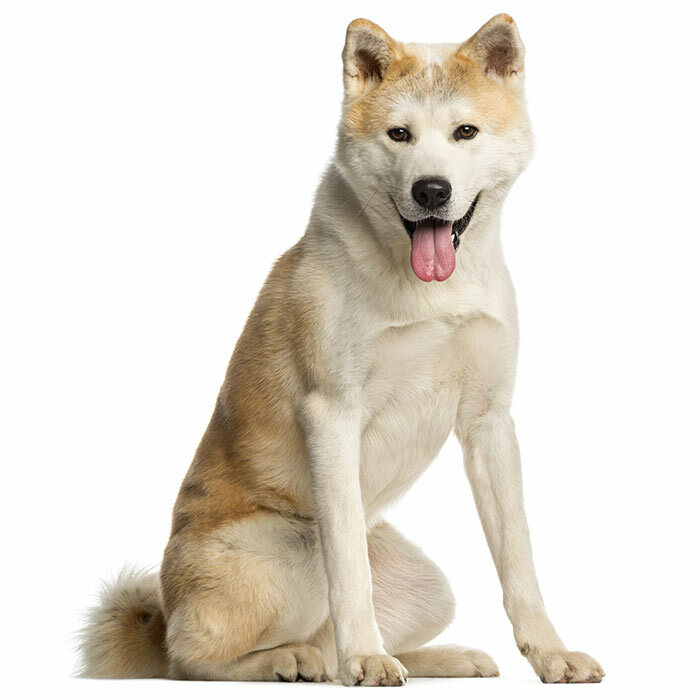 The breed’s intelligence means that it loves to be involved in games and family events. A very social animal, the Labradoodle requires a good deal of attention from humans. The breed can develop separation anxiety if left to its own devices for any extended period of time and this can result in behavioural problems. If a Labradoodle isn’t taken for walks at least once a day, or played with regularly, it will not be uncommon to find that destructive habits have formed. The Labradoodle is known for its patience and its ability to cohabitate peacefully with other pets in the home. This fact aside, early socialisation as a puppy is a great way to ensure complete tolerance, and good training is a must. Training isn’t a challenge with this intelligent breed; the Labradoodle is eager to please its master and will respond well to reward-based instruction. Like any dog, however, firm discipline should be employed consistently and a clear hierarchy maintained from the get go. The Labradoodle will respond best to an owner who is an obvious pack leader. Labradoodles have a fantastic reputation for high levels of tolerance for children. They placid and care-free nature of the Labrador, paired with the energetic and playful character of the Poodle makes for an enthusiastic and joyful companion. Small children may find the larger Labradoodle a bit of a handful during playtime and, under the age of eight, should be carefully supervised. Labradoodles are best suited to living indoors with a family who will shower them with attention. They will greet friends with affection and their family with steadfast loyalty. Attention must be given to training a Labradoodle early as they crave obedience training. 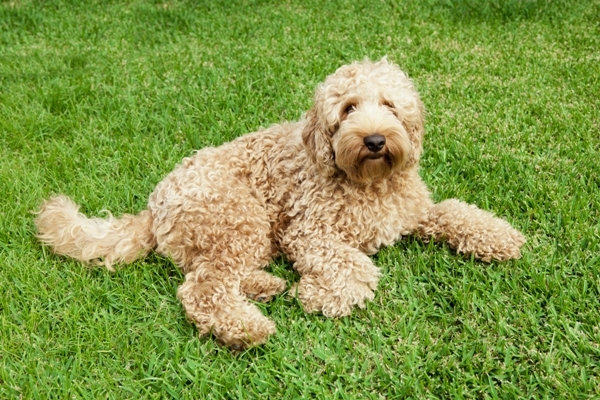 What are the most common health issues for Labradoodles? Hip Dysplasia. Although not common in Labradoodle, hip dysplasia does occur in the breed. This is when the hip doesn’t form properly, leading to possible lameness over time. Epilepsy. Although it affects only 3% of dogs, Labradoodles are prone to epilepsy. Although a severe condition, like humans, epilepsy can usually be controlled through the careful use of proscribed medication. If you notice your dog is having recurrent seizures, it’s important to make an appointment with your vet as soon as possible for observation. Progressive Retinal Atrophy (PRA). This is a disease that will occur in Labradoodles and can lead to blindness. The nerve cells at the back of the eye degenerate over time and will cause cataracts to form. If you suspect your dog has signs of PRA, see your vet for observation as soon as possible. If there is still vision in the eye, corrective surgery may be an option. Hypothyroidism. Common in all breeds, but also found amongst Labradoodle, Hypothyroidism is when the thyroid gland doesn’t produce adequate amounts of thyroid hormone, usually because of inflammation. Some symptoms of Hypothyroidism include abnormal weight gain, dry skin, hair loss, ear infections, and lethargic behaviour. Diabetes Mellitus. This is a disorder that can affect the Labradoodle and occurs when the body cannot regulate the sugar levels in the blood adequately. The condition develops when there are improper levels of insulin in the body. Symptoms include a much higher appetite for water and excessive urination. See your vet immediately if you observe these symptoms; Diabetes can be controlled with a change in diet and medication. The Labradoodle can be traced back to 1988 when Wally Conron of the Royal Guide Dogs Association of Australia was approached by a blind woman in Hawaii who requested a guide dog that would not cause her allergies to flare up. After sending a number of Poodles to the woman to test for allergic reactions, every dog failed to be suitable. It was at this time that Wally Conron requested that he be allowed to try cross breeding a Labrador with a Poodle. The new breed, named Labradoodle, was put into guide dog training and 29 out of the 31 entered passed the course. Almost overnight the breed’s popularity sky-rocketed and the demand for Labradoodles grew with it. To meet the sudden demand, many people claimed to be Labradoodle breeders and a number of poor examples of Labradoodle began to flood the market. Throughout the 1990s the Labradoodle as developed by these unofficial breeders was unpredictable in nature, intelligence and health. 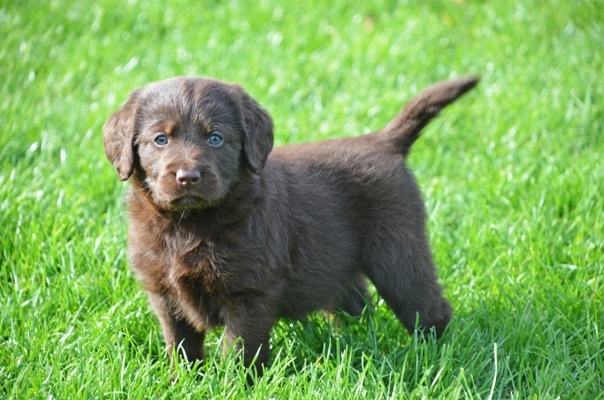 After the Rutland Manor Labradoodle Breeding and Research Centre was set up in Victoria, the breed began to be standardised and carefully crosschecked for any health issues. Now the Labradoodle is known to shed very little; much less than any other dog. 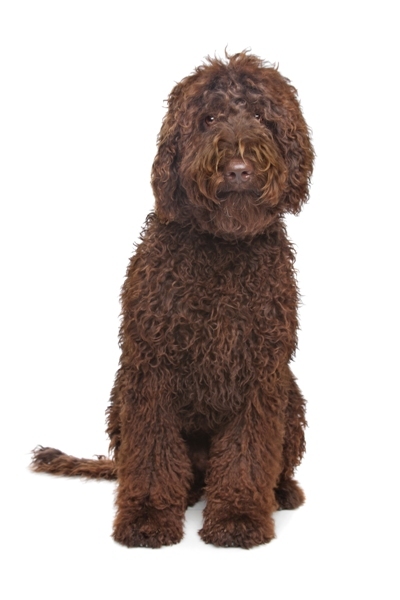 The labradoodles from earlier generations and those produced by misleading breeders would still shed a certain degree of hair, although far less than other breeds of dog. Their popularity outside of Australia has grown dramatically since they were first introduced in 1989. The Labradoodle is especially popular in the United States alongside those native to the breed’s Australian homeland. The Labradoodle is a hybrid breed that was first developed in Australia as late as 1989. It all began when an Australian, working at the Royal Guide Dogs Association of Australia wanted to develop a non-shedding breed for a blind Hawaiian woman. The Labradoodle is not as yet a recognised breed, but breeders are working hard to have it formally acknowledged by the major kennel clubs around the world. While the Labradoodle can suffer from any number of conditions that are common to all breeds of dog, selective breeding has ensured that they a much healthier than their parent breeds. The most common issue reported is skin problems. Like the Poodle, the Labradoodle comes in three distinct sizes: the Standard, Medium and Miniature. Labradoodles have made quite an impression since they were first introduced to the public in 1989. No you can find the word Labradoodle in the Oxford English Dictionary.